Imagine cleaning equipment that can remove all kinds of chewing gum from virtually any surface, efficiently, affordable and without disrupting normal business operations. While it devours gum indoors and out, our equipment is gentle on surfaces and very safe for the environment. A small brush at the end of the Bee A Healthy Homes cleaning wand works carefully with the steam and cleaning agent to disintegrate gum in seconds. The gum is heated to over 300 degrees with 95% dry steam, our special Gum Removal cleaning agent is mixed with the steam through the wand and Bee A Healthy Home. The Problem of Gum Pollution Disgusting gum pollution is EVERYWHERE! Those unsightly black spots you notice along the pavement are pieces of chewing gum that, most likely, have been stuck there for years. Gum on city streets and walkways is a form of pollution to be dealt with, just like trash.Chewing gum is simply a manufactured confectionary product made from a synthetic, non-degradable rubber base to which flavours and sweeteners are added. According to a recent survey, just under half the Canadian population chews gum, and that market, currently valued at $329 million is constantly growing. Where does all this chewed-up gum end up? When carelessly discarded, chewing gum becomes trodden into our streets and pavements, where it becomes extremely difficult (using traditional methods) to remove. It makes paved areas look grimy and dirty, and it generally devalues an area. Chewing gum is highly resistant to aggressive chemicals and will never degrade naturally.Take pride in your facility; Keep your entrances and litterbins looking like new with our help. 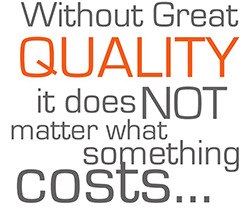 Customers do notice if your facility is not clean. A clean facility will keep your customers returning. Chewing gum pollution is a major problem in most cities and towns world wide, especially in public places where discarded gum disfigures many civic areas. The authorities responsible for keeping public places clean have been fighting a loosing battle at high cost to keep on top of the problem. One advantage of commercial steam cleaners is their sanitization efficiency. They not just clean, but sanitize the surfaces too. 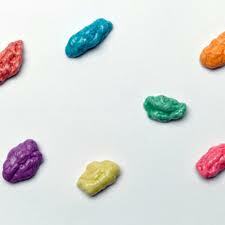 The chewing gum pieces tend to house a number of harmful microorganisms. Merely removing the gum pieces will not sanitize the surface. The harmful microorganisms may remain on the surface. The high temperature output of the gum removal machines help to eliminate many species of harmful microorganisms. Some latest models of steam cleaning machines have a specialized anti bacterial technology. Machines equipped with this technology are the best chewing gum removal machines. Such equipment ensures the cleanliness of the surface as well as its sanitization. Some other technologies are handy when using steam cleaners as chewing gum removal machines. One such technology is the automatic refilling technology. This technology helps refill the tank simultaneously while the cleaning process is going on. When using conventional machines, workers had to stop the work temporarily to refill the tank. This inconvenience can be dispensed with when using the machines with the automatic refilling technology. The gum removal business is a profitable one. Not only it is profitable, one can break even pretty quickly. The investment is minimal. The return of investment is reasonably high. One just needs to work hard and show dedication. One of the main things that determine the success or failure of gum removal business is the quality of cleaning machines used. Removing chewing gum is a simple process. Many types of cleaning machines are suitable for the task. Pressure washers with their high output pressure might seem like the best machine. Some people might consider using carpet cleaning machines. People who have run a gum removal business successfully know that steam cleaners are the best choice for removing chewing gums. Not just any steam cleaner will not do for gum removal. The following are some tips to choose the right kind of steam cleaners for running a successful gum removal business. Steam cleaners by default have a high temperature output. An average steam cleaner has a temperature of 360 degrees Fahrenheit. For gum removal, the output temperature has to be as high as possible. You can find steam cleaner machines with an output temperature as high as 382 degrees Fahrenheit. The high temperature output not just improves the efficiency of the cleaning process but increases the speed of the process too. These machines work by melting the gum residues. Machines with high temperature output have twin benefits. First, these can melt even old and decayed gum pieces. Second, these machines finish the melting process quickly. Ordinary steam cleaning machines just displace the dirt and stains. The molten or dissolved dirt can be removed through some other means. Some remove it manually by using a towel or a brush. Some use a separate vacuum. Each method has its own drawback. Commercial steam cleaners used in gum removal business are a different species of machines. These have an attached vacuum. There is no need to carry a separate vacuum machine. These machines can melt the gum pieces as well as extract the molten gum residues. Gum has been in use for more than 5000 years. The Aztecs, Ancient Greeks, Egyptians, and even Santa Anna were known to chew the thick sap like substance that came from certain types of trees. Thomas Adams, however, was the inventor credited with first mass- producing gum from the Manilkara Chicle tree. He starting producing it for worldwide distribution after he first tried and failed at using the Chicle gum to make rubber to use in making rubber tires. 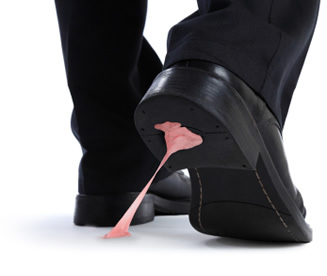 For as long as gum has been being chewed, businesses have been finding wads of it stuck to surfaces all over their buildings and patrons have been stepping on it and getting it stuck to their shoes. Chewing gum is sticky when it “s fresh but it gets very hard and leaves unsightly stains on concrete, brick, and many other surfaces. Gum has been widely considered a public nuisance. Singapore has been battling public vandalism and the one most known and controversial has been a ban on chewing gum, including all sales and chewing for more than 20 years because of the unsightly mess that it causes. Once it has been stepped on, it attracts dirt, and then gets stepped on again and so on until it creates very unattractive black spots on sidewalks, parking lots, and drive-thru pads.